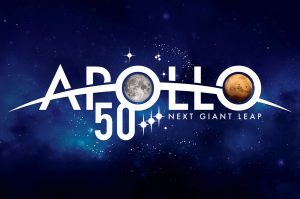 2019 marks the 50th anniversary of the Apollo mission that first landed humans on the Moon! We are celebrating with a lunar event series leading up to our big Lunar Party on July 20! All events are free (except for the Full Moon Canoe) and open to the public. Wednesday, May 1, 7-8 p.m.
Friday, May 17, & Saturday, May 18, 7:30-10 p.m.
Paddle down the Milwaukee River with UWM Planetarium Director and NASA Airborne Astronomy Ambassador Jean Creighton. 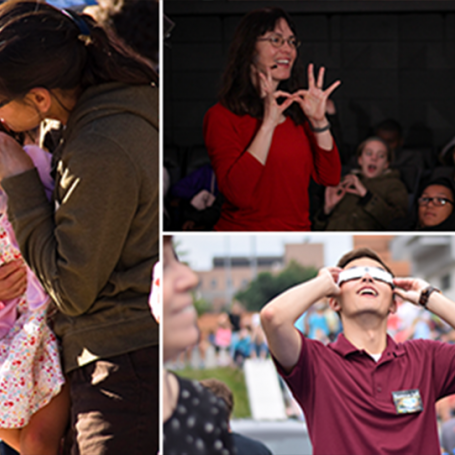 Enjoy the full Moon while learning about our nearest celestial neighbor, other exotic moons in the solar system, and more intriguing objects scattered through space. 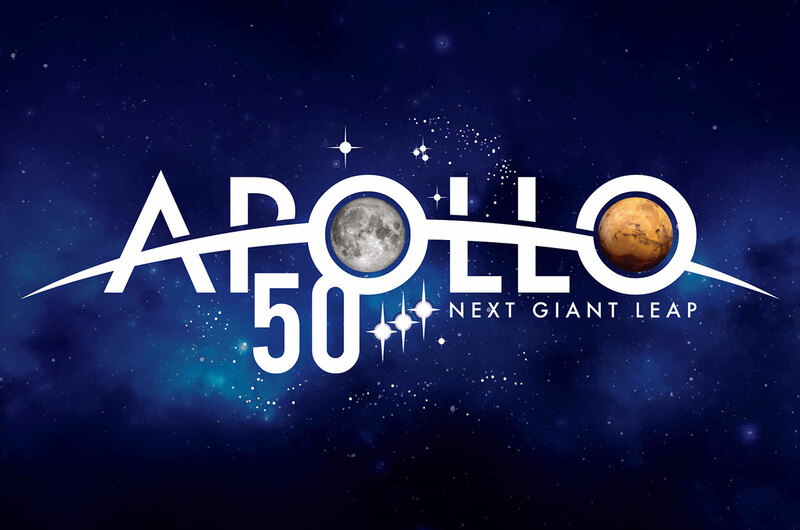 Saturday, July 20, 12-3 p.m.
Join us for an afternoon of food, fun, and activities to celebrate the 50th anniversary of the historic 1969 Apollo Moon landing. There will be something for everyone at this free, all-ages event. Witness the monumental achievement of the 1969 Moon landing, trace its contribution to technological breakthroughs that transformed our everyday lives, and peer into the future of space exploration. 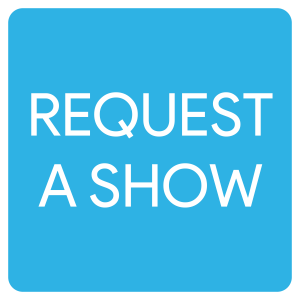 Wednesday, February 20, 6:30-8 p.m. It was fascinating to hear about lunar exploration from a planetary geologist’s point of view. Dr. Lindsay McHenry explained that the Moon has two basic terrains: (i) highlands that are lighter in color, higher in elevation, and more cratered, and (ii) mare which are darker, smoother, and younger. Firstly, we looked at samples of anorthosite (which is made of feldspar, a rock-forming mineral that 51% of the Earth’s crust is made of); this rock is from the time that the Moon would have a liquid magma ocean and less dense feldspar would rise to the surface whereas denser olivine and pyroxene would sink. On Earth, it is unusual to get feldspar without quartz or olivine because minerals tend to crystallize together. Secondly, McHenry showed us breccia rocks that occurred from impact sites on the Moon. These rocks show angular broken fragment texture. Thirdly, we saw a sample of basalt on Earth that would look very similar to that on the Moon—bubbles are frozen in the rock. However, a basalt that formed 200 years ago on Earth would be in significantly worse shape than the 3.9 billion-year-old basaltic glass that we have found on the Moon. There is so little weathering on our natural satellite. McHenry’s favorite is the beautiful volcanic glass in the lunar soil that cooled in lovely spheres in the absence of an atmosphere to give the aerodynamic shapes that we see in the glass near volcanoes on Earth. Wednesday, March 13, 7-8 p.m.
Chemistry professor Dr. Joseph Aldstadt described how the recent exploration of the Saturnian system by the Cassini-Huygens mission has revealed intriguing new insights, particularly the surprisingly complex composition of Titan’s atmosphere. 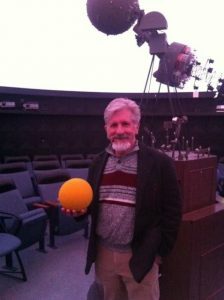 Seeing Saturn through a telescope for the first time as a first grade student got Dr. Joe Aldstadt hooked on the cosmos long before he discovered his main passion, chemistry. Both of his interests came happily together when he described the chemistry of the atmosphere of Titan—the biggest of Saturn’s 62 moons. This intriguing moon has an opaque atmosphere due to a thick haze riddled with hydrocarbons. Titan looks like home: it has weather systems and flowing rivers because methane can be in three phases: rain, ice, and vapor, just as water can be on Earth. Thursday, March 28, 5:30-6:30 p.m.
After uttering his first-word “airplane”, Dr. Nathan P. Salowitz has enjoyed an exciting career in aerospace engineering through his work at Boeing and through his graduate studies at Stanford University’s Department of Aeronautics and Astronautics. He shared his expertise on the engineering feats of the Apollo Moon landing as he discussed the complexities, challenges and nuances of developing a flight plan and spacecraft that could keep people alive on the trip to and from the moon. The research done during these missions has advanced many subfields including timekeeping, rocket propulsion, lunar geology and human physiology. The ambitious goals of space exploration have provided wisdom on the hazardous conditions of regolith, or moon dust, as its sharp structure and static charge degrades air seals. These missions have also allowed a deeper understanding of the field of radiation in our atmosphere and further evidence suggests that people can safely be sent between 150 and 400 miles above the earth without dangerous radiation exposure. Manned space flights also reveal the physiological responses to space such as the reactivation of viruses such as chicken pox after long-duration trips. Dr. Salowitz’s research at UWM on self-healing metals, or alloys that repair themselves when introduced to heat, provide an insight into technologies that have the potential to advance the future of aerospace engineering. Wednesday, April 3, 7-8 p.m.
Four hundred years ago the Moon was envisioned very differently than how it is visualized now. Marcy Bidney, curator of the UWM Libraries’ American Geographical Society Library (AGSL), described the history of lunar cartography and imagery that shaped our perceptions of the moon over time. From pre-telescopic observations that conceptualized the lunar surface to intricate maps of lunar craters and maria (the large, dark plains on the moon), she explained the history and technology used to reach these discoveries. From the Middle Ages and Renaissance to the Space Age, these developments have allowed a deeper understanding of the composition and structure of the lunar surface. Beautiful maps, models and photographs were on display to highlight the progress we have made in appreciating our nearest neighbor. Wednesday April 17, 6:30-7:30 p.m.